#dwts Emma taught me a "New Yorker" move on the dance floor, I taught her to shoot a Ruger 10-22. A regular Annie Oakley!! Slater shared a picture of herself receiving an “adult beverage band” before heading into the Fayette County Fair, where Perry mentioned they spent the day filming (and where he hopefully picked up one of his favorite fair foods). The pair, Perry’s glasses and several of their fellow “Stars,” appeared this morning on “Good Morning America” for a little Season 23 pre-party. When asked if he was starting to have fun now Perry hesitated before saying, “That might be a little stretch.” He also launched into an interesting metaphor in which he described himself as a piece of coal being shined into a diamond by Slater. 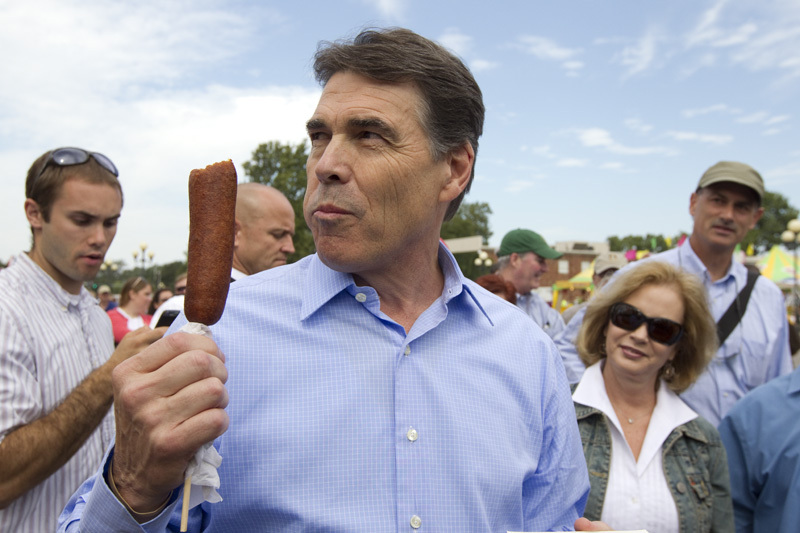 Perry’s moves are only days away. Be sure you’re awake when the season premieres this coming Monday!